The relentless Nottz duo Sleaford Mods take a four-page feature in this week’s NME. Grab a copy now and read their interview with Stewart Lee. Today we welcome OK Go to the Division roster. Watch their EPIC new video for ‘I Won’t Let You Down’ online now. Single out on Paracadute BMG on Dec 10th. Album Feb 16th. 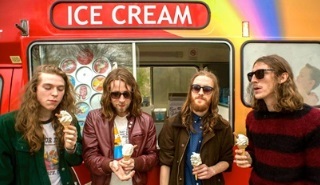 Demob Happy are set to release their huge debut single ‘Succubus’ due November 17th via Milk Parlour Records. Hear it now on Classic Rock‘s Tracks Of The Week. 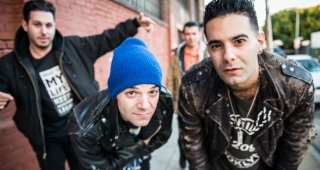 Currently on tour in the UK, The So So Glos discuss Brooklyn life, DIY culture and Woody Guthrie in their Huffington Post Blog. Watch their new music video here. John J Presley‘s roaring new single ‘Honeybee’ made Clash‘s Track Of The Day. “Packed with dirt, ‘Honeybee’ snorts and growls with a palpable sense of menace.” Stream it here.